A persona is used to represent an entire organization, for example “Distributor Danny”. 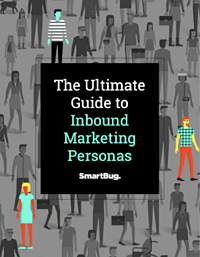 Personas are highly quantitative and data-based, loaded up with demographics, but have no actual stories or personality and, thus, don’t help inform any kind of marketing or sales content. Personas are highly qualitative, but miss the basic demographics, so you don’t realize that you’re actually trying to sell a sofa to an apartment-dwelling millennial, not a family-oriented Gen X-er. 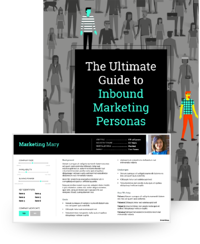 Personas are too fractured, so every role or job title that customers have are represented as a persona. There’s CEO Chris and COO Charlie and President Pat … all of whom have the same pain points and buying triggers. Ultimately, each of the personas above is a good starting point for personas, but doesn’t provide the best distinction between populations. Instead, we propose marrying two elements: the quantitative information that defines the group your persona fits into and the qualitative information that shows what makes a persona tick and, perhaps most importantly, why they will buy your product. I’m not going to reinvent or reiterate Adele Revella’s 5 Rings of Buying Insight here. Instead, I recommend that you go read about them at the Buyer Persona Institute and come back. If you want to define a great buyer persona, you must capture why that person will buy—and not why they’ll buy a fuzzy blue sweater, but why they will buy your solution. What has triggered them at work or in life to seek information about a company like yours? In my first job out of college, I was a lone wolf marketer for a small company that produced audio recordings for telephone systems. We didn’t have a sales team, just customer service, which was also responsible for selling. It was an interesting setup, because some of the things that make service reps great are the things that you probably wouldn’t look for when recruiting for a sales role. What we found, though, was that with inbound leads and consultative selling, the customer service team could zero in on one thing that helped them close a deal. A simple question with big impact: What has changed at your organization that led you to look for this? That question opened the door, and it’s the perfect question to ask when starting a buyer persona interview. If you haven’t picked up, I (and the rest of the SmartBug team) am a big fan of Revella’s approach to building buyer personas. We’ve shifted away from the super-scripted persona interview and begun allowing a more open-ended and active-listening based approach. Like Revella prescribes (and I won’t recount this entire approach here—go buy her book! ), we look for examples of customers who have recently purchased and, if possible, former prospects who recently decided not to purchase, and ask them one simple question to kick off the interview, diving straight into what triggered their recent purchasing decision. Then, we listen. And we ask follow-up questions. But mostly, we listen. Now, we still have a question bank that we’ll reference from time to time—it’s a great way to stay on track and keep your headspace right—but it’s more valuable in the next step than when you’re on the phone. Once you complete interviews, you should have a good feel for “who’s your who” and be eager and excited to start slicing up the information you’ve collected and defining your personas. In your interviews, you should have collected a lot of qualitative information about your buyers and their purchasing triggers. You should also have some insight into their role, age, ambitions, and beyond. For your persona story, define your persona and buying trigger, plus their role and demographics, trusted resources, and measures of success. Focus on being comprehensive and relating your persona to your solution—and you’ll be in perfect shape.